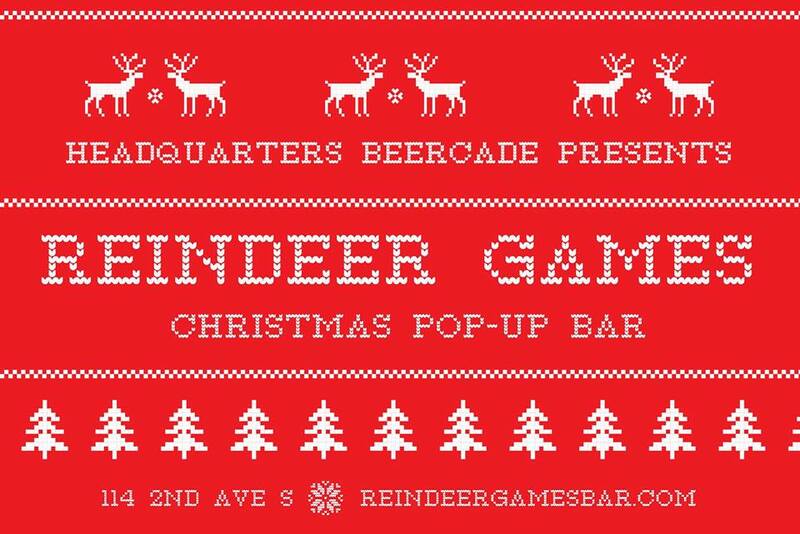 Reindeer Games: Christmas Pop-up Bar! This holiday season, join us as we transform HQ into Reindeer Games: an experiential winter wonderland with holiday decorations, interactive installations, festive cocktails, and SO much more! ??? Starting Nov. 30, Reindeer Games will take over our 6,500 sq. ft. space with a different event or installation for EVERY day of December! Naughty or nice, you're invited to enjoy our photo op activations like a life-size Santa's Sleigh and a giant, four person snow globe! ❄️?